player (after you know who). 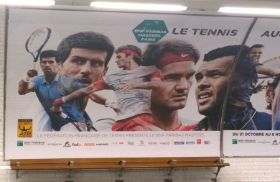 But this match is really entertaining and with high quality tennis: definitely a classic. Two very contrasting styles: Agassi’s returns and passing shots vs Rafter’s serve and volley. 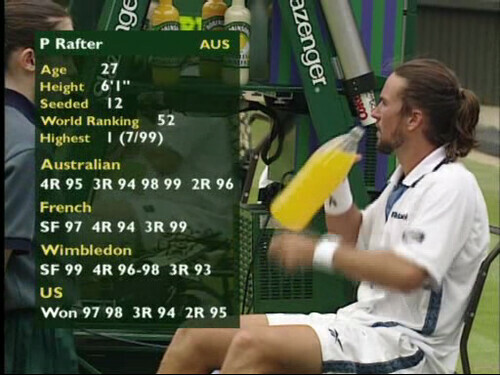 Despite his made-for-grass playing style, Rafter’s presence at this stage of the tournament was kinda surprising: after undergoing surgery on his right shoulder, his game had lost his bite and his ranking had fallen to n°52. 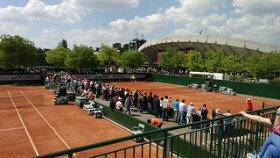 But he found back his form and won his first title of the year in Rosmalen, the day before Wimbledon started. 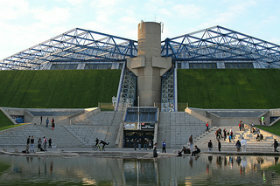 Seeded 12, Rafter had a smooth road to the semifinal having lost just one set to Thomas Johansson in the fourth round. In the second round, Agassi came back from 5-2 in the fifth set against Todd Martin to seal a remarkable triumph 6-4 2-6 7-6 2-6 10-8. After this wake up call, the number two seed won in straight sets against Golmard, Prinosil and Philippoussis. 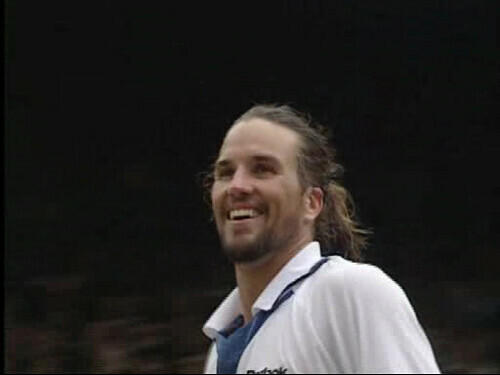 Before the match, Rafter said he was hoping Agassi would have a bad day. It wasn’t the case. 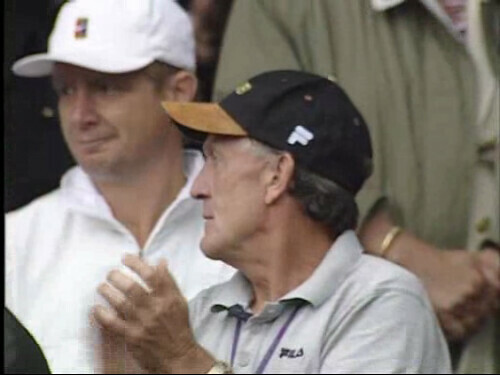 Both men played at a really high level, with stunning half volleys from the Aussie and powerful passing shots from the 92 Wimbledon champion. 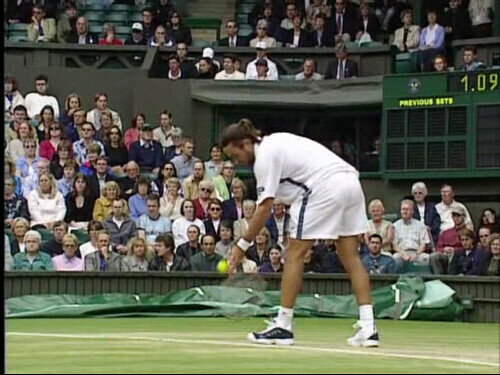 Rafter started the brighter and broke serve when Agassi double-faulted, then captured the first set. 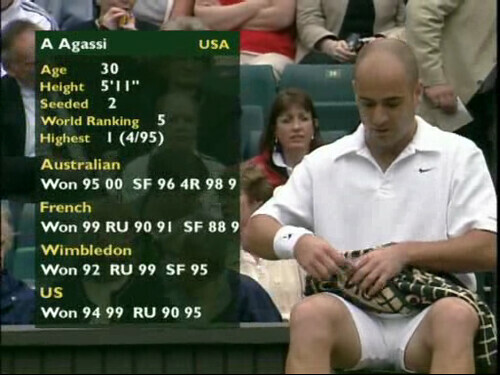 Agassi bounced back in the second set with amazing returns and passing shots. 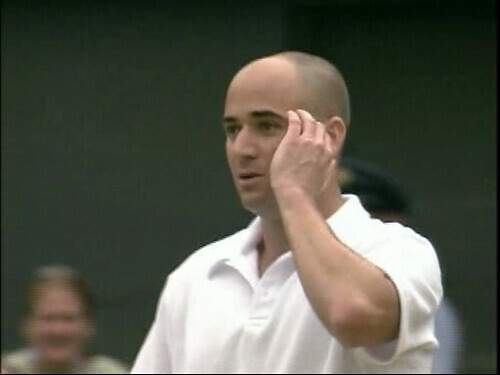 The momentum kept shifting, Rafter took the third set 7-5 but Agassi fought back again to take the fourth 6-4. In the final set, Rafter had 80% of first serves in, and it proved to be the big difference. 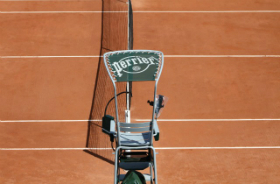 He faced break points in the opening game but held his serve. 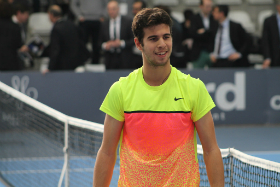 He kept pressuring Agassi and attacking the net constantly. 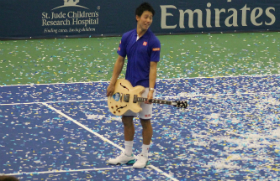 He broke at 3-2 then held on to win a place in final against Pete Sampras. 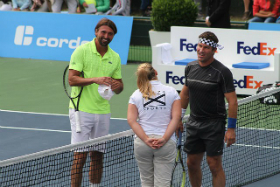 Agassi and Rafter met again the next year, providing an other 5 set thriller: 2–6, 6–3, 3–6, 6–2, 8–6 for Rafter. 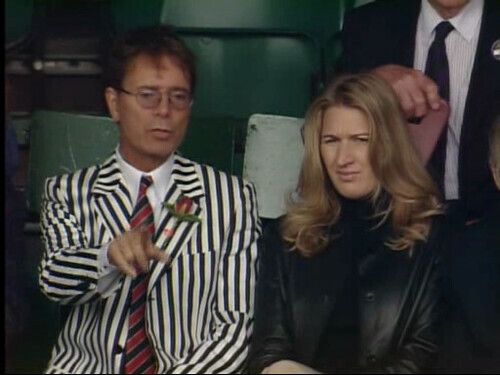 Note: This match is available in the Wimbledon classic match series. You can buy the DVD on Amazon or on the official Wimbledon website.